Much to mine and many others amazement it does look like Ubisofts great White hope The Division is actually going to be hitting consoles and PC’s in a few weeks. 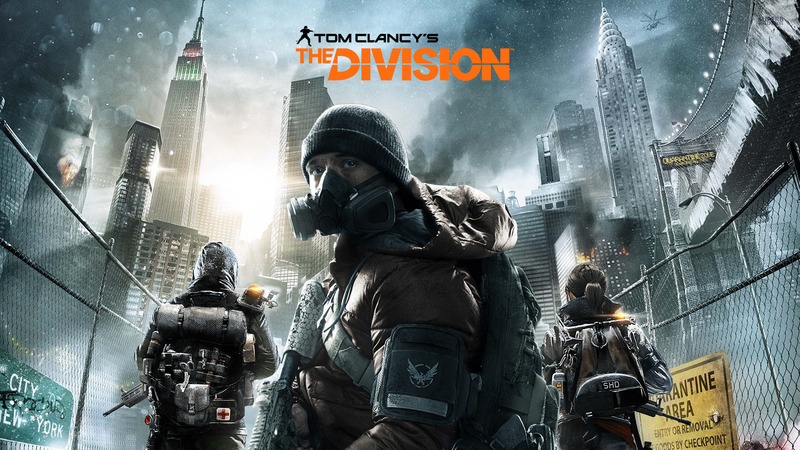 Originally planned for release around the turn of the century The Division is an ambitious attempt to create a real Next-Gen shooter set in New York 3 weeks after a devastating epidemic decimates the city. Originally shown off at E3 in 2013 The Division amazed gamers with it’s incredible visuals and a deep, richly detailed New York. It looked more like a live action TV show than a Video game so high was the standard of presentation and well realised game setting. The visuals were only a part of the trailer that showcased an innovative map system, excellent cooperative aspects and exhilarating PVE and PVP combat mechanics. Recent news has been less positive with numerous delays, studio changes and controversy around those stunning visuals. Elements that wowed us have also been dropped or scaled back leaving many of us to wonder if Ubisoft can actually pull it off and deliver such a fantastic game. One such element was the use of a 5th player using a smartphone or tablet to control a UAV or drone to help players locate enemies and engage them without actually being in the game. It looked brilliant in the gameplay trailer at E3 one of those great ideas that nobody else had really thought of before but we now know that feature has been dropped. Ubisoft’s recent output is also concerning the last Assassins Creed was a terrible bug filled disaster that should never have passed certification let alone hit shelves in it’s current state. Really worrying stuff from Ubisoft and certainly reason enough to exercise caution with our expectations. Since the initial reveal the landscape has shifted towards a more RPG focused type of shooter game. Destiny proved that a rich RPG when married to solid shooter mechanics can not only succeed but also keep gamers coming back for more. Before Destiny most games were almost single use items where the player would plow through the campaign, maybe do a little Multiplayer before moving onto the next big thing. Destiny however proved that console players can enjoy an MMO type experience providing of course the underlying game is functional and fun to play of course. Keeping gamers coming back is the key to Ubisoft’s plans for The Division and by starting with an interesting location makes perfect sense. I’ve put approx. 30 hours so far into the various Alpha and Beta versions and the initial concerns I had when I first played it have largely been forgotten. I can see issues still being present at Launch such as the slow movement and erratic cover system but there is nothing that can’t be fixed. Destiny launched almost like a Beta or early access version and over the 12 months following it’s release it was worked on, improved and polished to the point of it becoming the definitive console shooter. The Division feels the same in the sense that perhaps the initial vision is simply too Grand to be realised on the first attempt. Anyone who played Watchdogs can relate to The Division in the sense that it was simply to ambitious, to unique to 100% pull it off so we ended up with the shell of a brilliant game presented poorly. The lessons learned from that if applied to The Division will fingers crossed mean we get a more focused and polished game from Ubisoft this time. After my few hours playing the latest build via the Xbox One Beta process it’s clear there has been considerable progress from earlier builds. The world feels more grounded, combat is more fluid and precise with the weapons feeling more punchy. Movement is still a little bit laggy with some animation issues when getting into cover and I’m still not sold on the auto cover system they have gone for. The game is crying out for a Rainbow Six type or GRAW snap to cover system. Enemies are still a little braindead tending to run straight into a hail of bullets and they really do eat a ton of bullets before falling which is a bit strange in a game that puts realism at the fore. None of the issues are deal breakers more minor annoyances that hopefully can be resolved by release or shortly after. I do hope the cover system is sorted though it’s the one area of actual frustration I’ve had with the game so far. It doesn’t feel snappy or even consistent. On several occasions I was either unable to get into cover against solid objects or detach quickly enough when being charged by the enemy AI. Against human players the issue is even more frustrating as a simple move to cover can sometimes not happen leaving you exposed. New York is a great place to base The Division and they have painstakingly captured every building and street and used it in game. Sure the visuals never reach those shown of at E3 when the game was first announced but it’s one stunning game even on consoles. Playing on the PC is a real treat with stunning scenery and incredible attention to details in every single frame. New York really feels like it’s dying with traces of it’s former glory littering the sidewalks and alley ways. If you explore you can find some incredible touches that bring the world to life in such a way that I actually found myself remembering some of the places I’ve visited. The game is just dripping with beautiful locations to explore and fight through that it really begs to be explored and experienced. Such attention to details bodes very well for the game once we get our hands on it and providing they keep the content coming and get the gunplay balance right it might just steal the crown from Destiny. We’ll find out for certain in March.